Dozens of dogs from the Deep South are getting a new leash on life, thanks to an animal shelter in Delaware. WILMINGTON, Del. -- Dozens of dogs from the Deep South are getting a new leash on life, thanks to an animal shelter in Delaware. The Action Cam was at Faithful Friends Animal Society Sunday in Wilmington as a van carrying 30 dogs and pups arrived. Those dogs came from a high-kill shelter in Dallas, Texas. 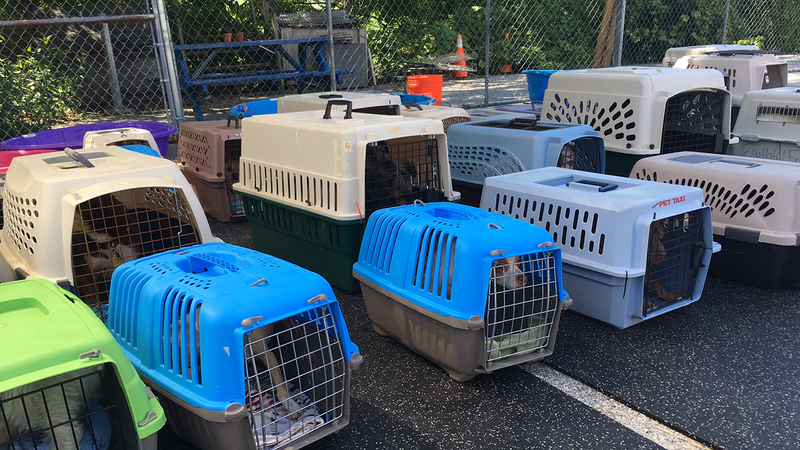 Faithful Friends usually takes in dogs locally, but since they had extra space in their small-dog kennels, they used the opportunity to save the lives of dogs in other states. "So instead of letting them sit empty, we're going to shelters that are in great need to pull dogs that are otherwise going to end up killed, and bringing them to our shelter because we do have a high demand for small dogs for adoption," said Brittany Anthony, Faithful Friends Animal Society. All of the rescued dogs are already spayed or neutered and will get treated by a vet. They're expected to be ready for adoption this week. For information on adoption: http://www.faithfulfriends.us/.